Honors 1st year (Professional) 1st Release slip application Notice. 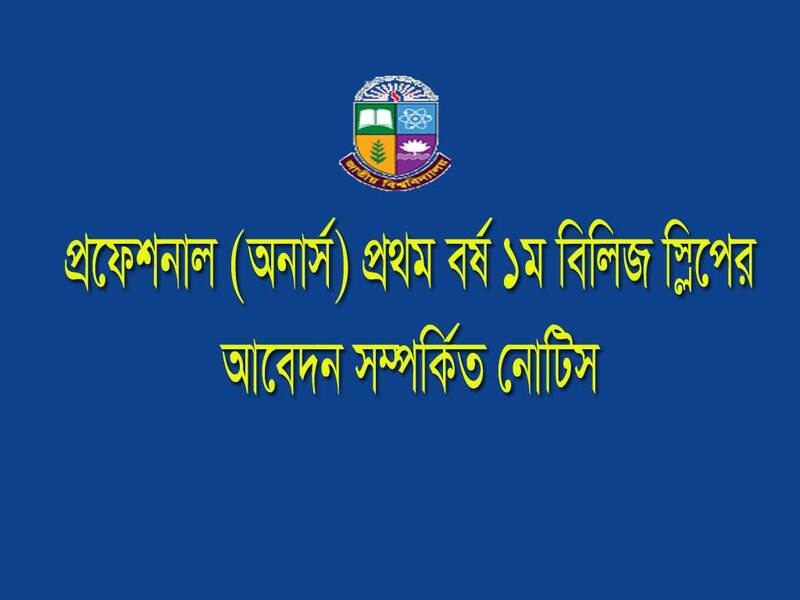 The National University Bangladesh Honours professional Course 2017-18 Application notice has been published. The timetable of release slip below. 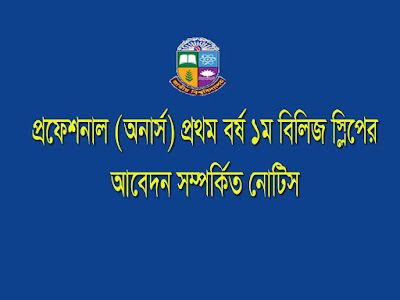 See the details of honors professional course under national university Bangladesh here with the best guideline of application. Notice of honors professional courses for the session of 2018 18. Students who have applied 1st time. and select for admission but they are not at merit list they can apply at this time. and student who are select for admission but not admit or cancel the admission they will be applied now for release admission. below are the details of notice. More information about release slip admission at www.admission.nu.edu. or www.nu.edu.bd/admission. and Deadline 29 March 2018. Instruction of release slip admission for professional course see the below notice. Instruction for the release slip application. At first go to the nu admission website: www.admission.nu.edu. or www.nu.edu.bd/admission. then click on the professional course and fill up every field carefully and submit. for more information comment here. We will inform you as soon as posible.